Stay up to date on your Mercedes-Benz Sprinter maintenance by using one of our vehicle service specials listed below. 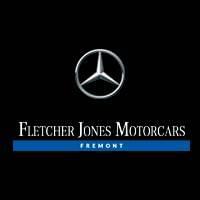 At Fletcher Jones Motorcars of Fremont we want to ensure you receive the highest quality of service on your commercial Sprinter. Ask about one of our Sprinter loaners! We are currently updating our Sprinter Specials. Please check back soon. As the fastest growing Mercedes-Benz Center in the Alameda County, we work with every major lender in the area, which allows us the flexibility to structure a financing program to fit your needs.